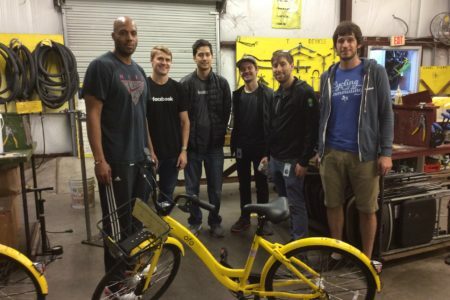 When a bike share company pulled out of the Austin market, Yellow Bike Project received over 400 of their bikes. 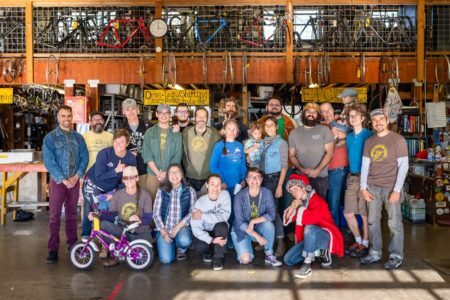 With the help of community donors and volunteers, we were able to get the special tools to replace proprietary bike parts and get these bikes back out on the streets. 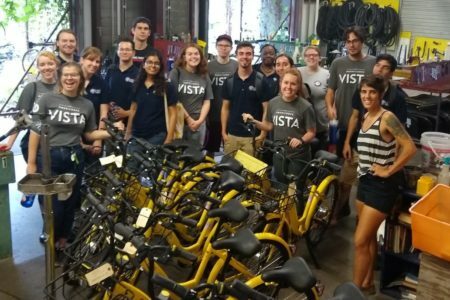 These bikes went out to our friends doing great work for the community at the Ghisallo Cycling Initiative, Texas School for the Deaf, Casa Marianella, and Refugee Services of Texas. 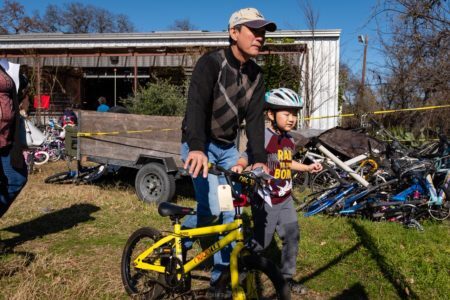 In the aftermath of disasters like Hurricane Harvey, Katrina, and the Onion Creek floods, many Texans were left without reliable transportation. 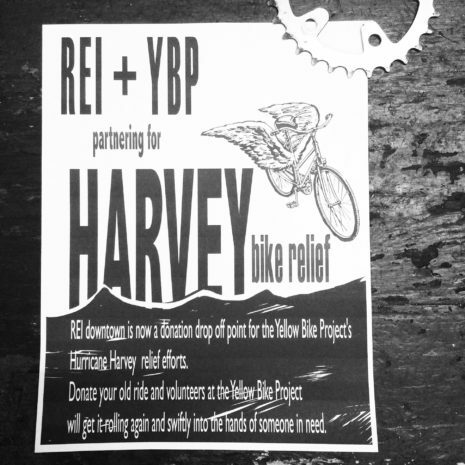 Following these events, Yellow Bike Project joined other organizations to pioneer transportation relief efforts, including direct bike donations and establishing bike shares for people to get out of shelters. Remember the joy of riding a bike as a kid? 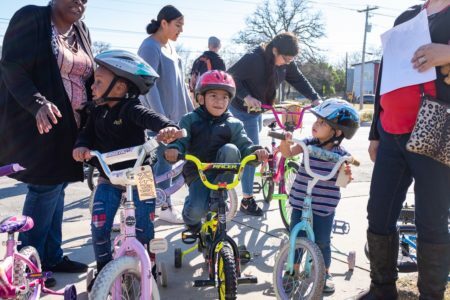 Several times a year, we are able to give away refurbished bikes and helmets to kids in the Austin community at events such as the Earth Day Celebration and the DJ Bling Back-to-School event. 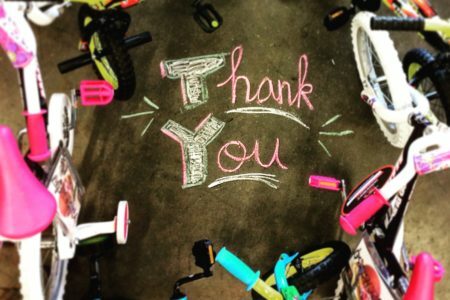 This culminates at the end of the year, when we host our own Holiday Giveaway party! 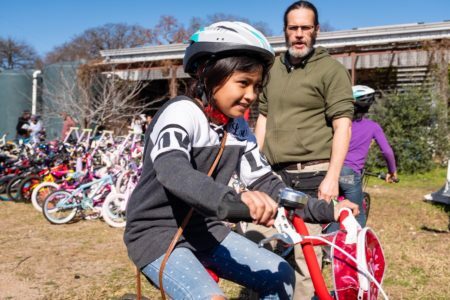 We couldn’t do this without the help of the Austin community donating their used bikes and helping fix them up. 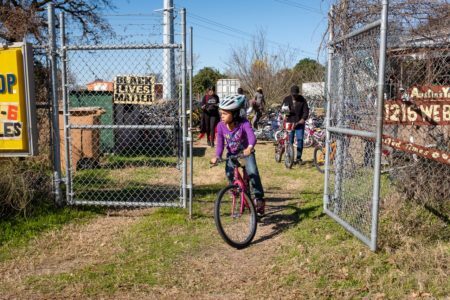 Casa Marianella provides shelter and services for recently arrived asylees, asylum seekers, and immigrants in East Austin. 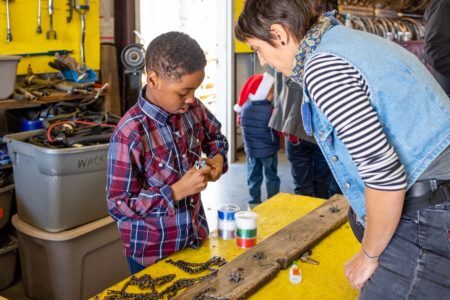 Building a life in a new home is not an easy task, and lack of access to transportation only makes it harder. 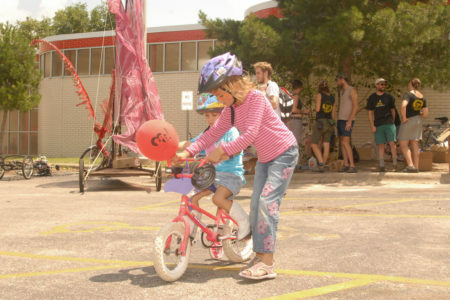 In 2011, YBP fixed up a small fleet of bikes for Casa to be shared by residents during their stay. 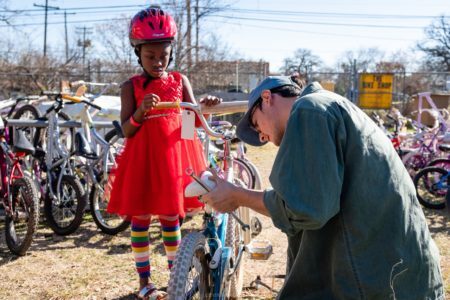 This partnership continues, and Casa staff, volunteers, and residents can visit the shop to repair the bikes as needed at no cost. 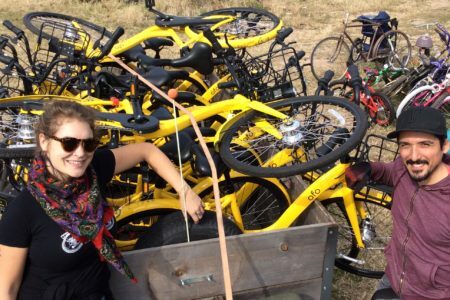 On January 25, 1997, with the aid of Austin Bikes Not Bombs, the original YBP volunteers released the first 24 Yellow Bikes. Modeled after the Dutch White Bikes of the 1960s, Yellow Bikes are community bikes that are free to ride but not to keep. 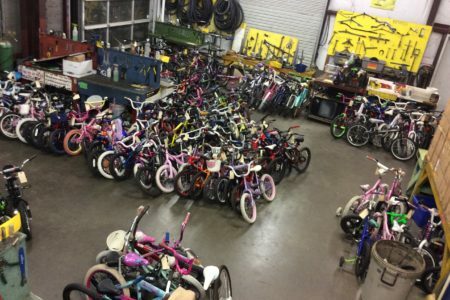 These bikes had been destined for the landfill, but were redirected out of the refuse stream, reconditioned, and released for everyone to share. 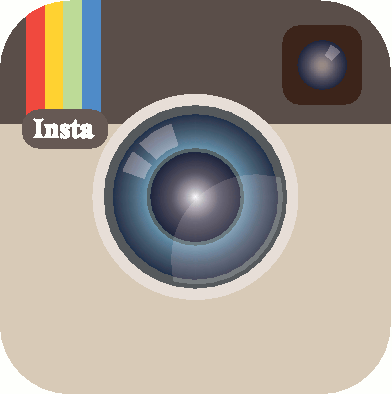 To date, YBP has released hundreds (perhaps thousands?) 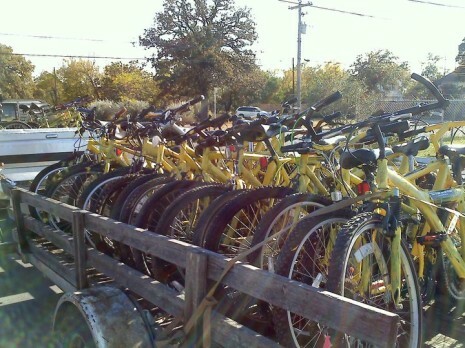 of Yellow Bikes. 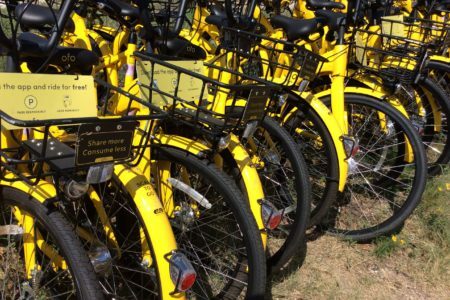 Wondering why you never see Yellow Bikes in the wild? We don’t make them anymore (read our Q&A to learn more).